When most people think about Disney, they are probably thinking about the Happiest Place on Earth or the massive collection of delightful animated movies. Most people are probably not thinking about thousands upon thousands of commemorative pins - but surprisingly, pins trading comprises a major subculture within the Disney fan universe. 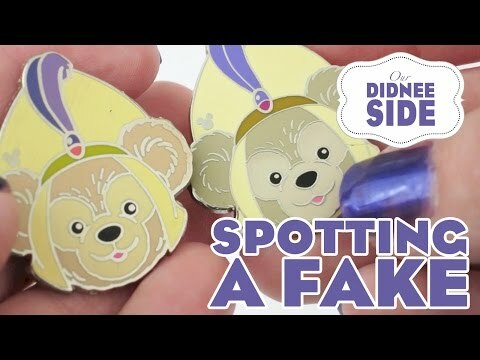 These little metal pins might seem like a strange thing to collect, but according to some insane Disney pin trading stories, there are people who have over 5,000 pins, some of which can cost hundreds or even thousands of dollars. Some adorn the vests of Disneyland social club members, while others are kept pristine in velvet-lined binders. When George Kalogridis, the president of Walt Disney World Resort, went to the 1998 Winter Olympics in Nagano, Japan, he was looking for ways to spice up the Disney Millennium celebration he'd be organizing. He came across a group of people trading Olympics-themed pins and was impressed by the connections people were making despite not sharing a language. He decided to bring that experience to the Millennium celebration in 1999, and pin trading took off from there. Disney pin collecting is a completionist's worst nightmare. There are over 100,000 pins, which means getting one of each is more or less impossible. There are pins with individual Disney movies, mascots, and characters. Some pins are based on special events or attractions and rides in the parks. There are also themed series, like the Soda Pop series and the Piece of History Pins. Because there's so much money to be made in the pin trade, it should come as no surprise that counterfeits are an issue. One common scheme involves sending an illegally obtained pin mold to a Chinese factory then reselling the pins for cheap in the United States, often over sites like eBay. Robert Edward Smyrak and Larry James Allred were involved in such a scheme in 2013. Smyrak was only sentenced to one year in jail, three years probation, and restitution, but Allred was sentenced to eight years and had to pay $210,000. While each pled guilty to one count of trademark infringement, a felony, Allred also pled guilty to aggravating factors for property loss of over $200,000. While most Disney pins are generally priced between $8.95 and $14.95, the rarer pins can cost hundreds or even thousands of dollars. This Snow White Princess Carousel Horse pin sold for $2,400.00 on eBay. Disney releases limited edition pins, which also tend to sport hefty price tags on resale sites.